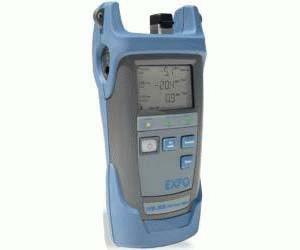 The industry s first PON-specific power meter, the PPM-350B is the flagship of EXFO s line of test instruments specifically intended for FTTH and FTTP systems. The PPM-352B-EG-ER is the ideal tool for FTTH/FTTP service activation and troubleshooting. Throughout the maintenance phase, various transmission problems fiber cuts, damaged/dirty connectors, macrobendings, optical transmitter failure, etc. may ultimately cause signal loss or degradation. Benefit from the PPM-350B s troubleshooting functionalities.